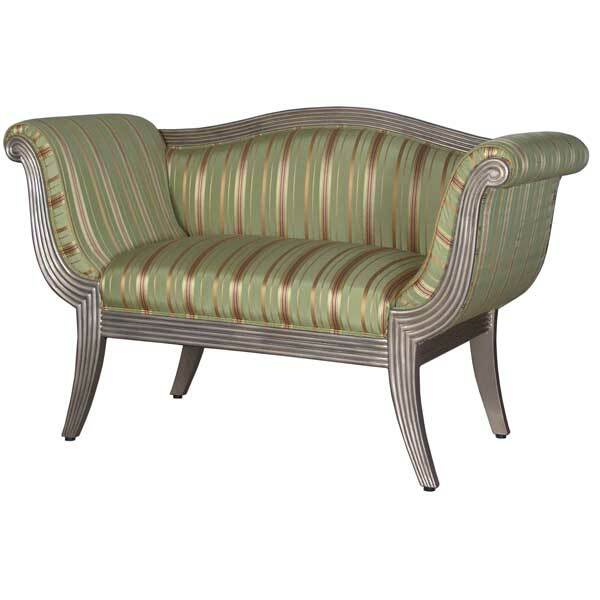 SE24305 Berlin Loveseat - 52″W x 22″D x 34″H. Seat Height: 20"
SE24303 Berlin Sofa - 76″W x 22″D x 34″H. 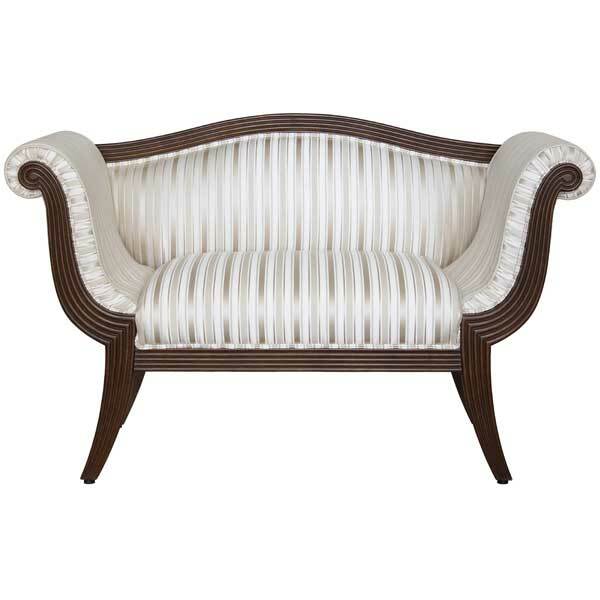 Seat Height: 20"
Inspiration for the Berlin Loveseat and Berlin Sofa came from the simplicity of the Biedermeier style of furniture, particularly in Germany. 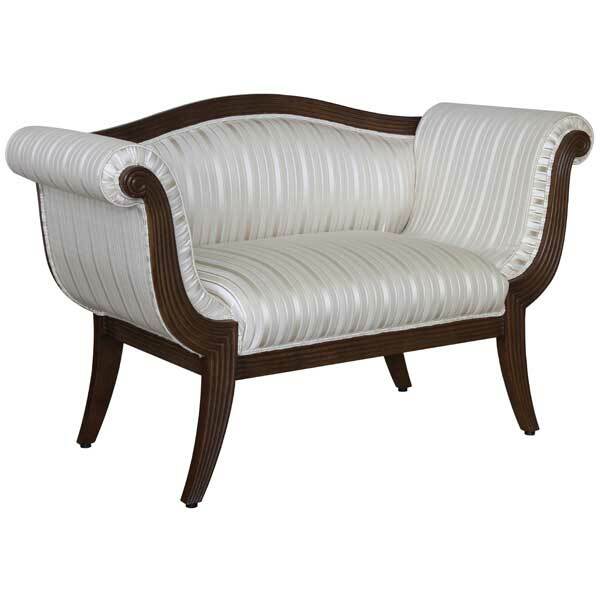 Biedermeier was an influential German style of furniture design that evolved during the years 1815–1848. Throughout the period, emphasis was kept upon clean lines and minimal ornamentation, consistent with Biedermeier’s basis in utilitarian principles. As the period progressed, however, the style moved from the early rebellion against Romantic-era fussiness to increasingly ornate commissions by a rising middle class, eager to show their newfound wealth. The Biedermeier style was a simplified interpretation of the influential French Empire Style of Napoleon I, which introduced the romance of ancient Roman Empire styles, adapting these to modern early 19th-century households. Biedermeier furniture used locally available materials such as cherry, ash, and oak woods rather than the expensive timbers such as imported mahogany. Stylistically, the furniture was simple and elegant. Its construction utilized the ideal of truth through material, something that later influenced the Bauhaus and Art Deco periods. Designed for use as accent seats in upscale residential and hospitality interiors, these hand-carved rosewood loveseat and sofa are available in a variety of finishes. Seat cushion has 8-way hand-tied springs. Upholstery is in COM. Custom sizing is available. The Berlin Loveseat and Berlin Sofa were designed by Shah Gilani, ASFD.